A Heart and dots frame circle stamp. Stamped area is 3.5cm x 3.5cm. 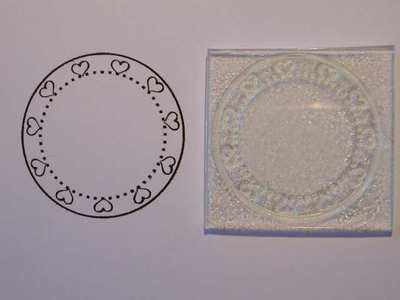 Several of the small sentiment stamps will fit into the centre of the circle, or simply add a flower or charm. 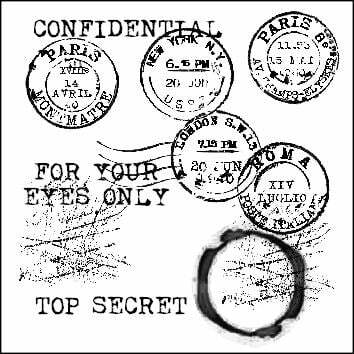 A version of this is available to personalise with your messgae in the centre, please see the custom stamps.